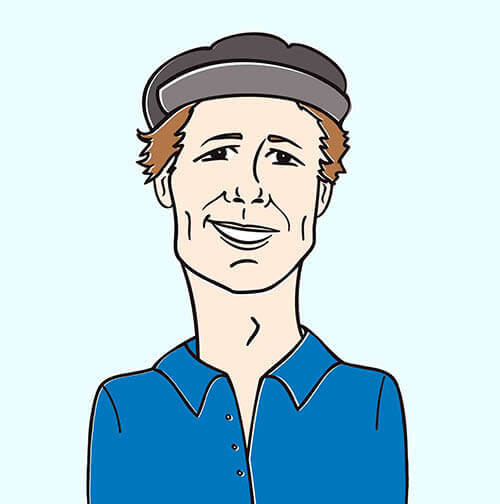 Greetings, everybody, it’s Andy Gesner from HIP Video Promo, here to introduce you to the music of a fascinating singer-songwriter with a gift for gorgeous melody. Suburban Nature, the first set by Sarah Jaffe, has been earning raves from mainstream and underground publications alike. “Jaffe’s immensely promising career is just getting started,” crowed NPR, who selected “Clementine” as their Song of the Day. “A startlingly assured debut from a young woman who appears to have much to say,” raved Blurt Magazine. Pop Damage, the All-Music Guide, USA Today, the Austin Chronicle: they’ve all lined up to shower Suburban Nature with superlatives. Not since the debut of Cat Power have critics been so uniform in their enthusiasm about a young woman with an acoustic guitar. What accounts for the praise? Suburban Nature is one of the few contemporary albums that’s strong from beginning to end — every track is a potential single. Every melody intoxicates; each acoustic guitar strum is perfectly placed. Producer John Congleton (Polyphonic Spree, Modest Mouse, Okkervil River) puts a premium on economy and clarity, and lets Sarah Jaffe’s sturdy compositions speak for themselves. Because Jaffe is such a talented writer, she’s able to draw listeners into her stories, again and again, no matter how intense or heartbreaking they are. Jaffe’s characters are frequently devastated, but they’re not without emotional reserves, and they know that they want something better than what they’ve been given. Such is the case for the narrator of “Clementine.” Perhaps the most affecting song on Suburban Nature, “Clementine” finds Jaffe longing for a lasting relationship in a world dizzy with impermanence. She’s wedded her tale to music at once reminiscent of Leslie Feist, Neutral Milk Hotel, and even a little bit of Bruce Springsteen’s landmark Nebraska. As always, the Jaffe sings her story with uncommon grace and poise in a voice that’s at once earthy and ethereal, vividly present and half-transparent. Jaffe has otherworldly powers in the clip for “Clementine,” too. For starters, she can levitate. Dressed in a flowing yellow gown, she floats effortlessly over verdant terrain. Her strength is superhuman, too: she wins a tug of war against a team of young men in suspenders. But after her victory, she crashes to earth hard, and her erstwhile opponents surround her with concern. Is she hurt?, dead?, unconscious? As it turns out, she’s ready for a breakthrough, and she’s led to a pool beside a cave that truly does seem to be blessed by the dazzling sunlight. Astute viewers will be able to pick out members of Centro-Matic, Seryn, and Bosque Brown in the clip. But without a doubt, Jaffe is the star. She’s as impassively beautiful as the countryside; in her stoicism, she’s radiant, and reborn. We’re excited to once again be working with the folks from Kirtland Records to bring you a captivating video from an artist on the rise. We’ve got plenty of copies of Suburban Nature for your enjoyment and on-air giveaways, so please don’t hesitate to be in touch if youd like to get your hands on some! If you need more info, call Andy Gesner at 732-613-1779 or e-mail us at HIPVideo@aol.com. 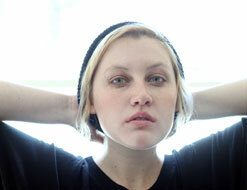 You can also visit www.KirtlandRecords.com or www.SarahJaffe.com to find out more about Sarah Jaffe.